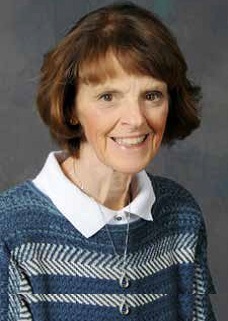 Annette Sandell has been St. Andrew’s Director of Christian Education since 2000. Annette oversees all the Christian Education programs at St. Andrew including Sunday School for all ages, Kids of the Kingdom, Vacation Bible School, Sunday School teacher workshops, and goodie boxes for college students. Annette also organizes a group of volunteers called Helping Hands who prepare materials used in our ministry. Along with her husband Mark, Annette is involved with the dinner shows and ministry offered by Antietam Recreation. Annette graduated from Grove City College with a degree in elementary education and was a public school teacher for several years prior to the birth of their three children. In her free time, Annette volunteers at the Mitten Shop at Homewood Retirement Center and loves watching her grandchildren.